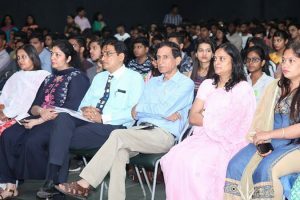 The Faculty of Media Studies and Humanities (FMeH), Manav Rachna International Institute of Research and Studies (MRIIRS), hosted a documentary/short film festival, on 8 February, 2019 where budding student film makers (Graduate and Post Graduates) from across the country gathered to showcase their ideas on varied topics through documentary and short films. 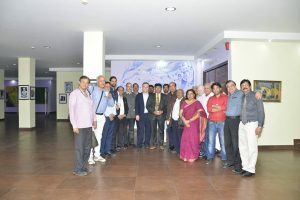 The dignitaries who graced the occasion were Dr N.C.Wadhwa, Vice Chancellor, MRIIRS;Dr M.K.Soni, Pro-Vice Chancellor, MRIIRS; Prof (Dr) NeemoDhar, Dean FMeH, Faculty members and students from across the country. 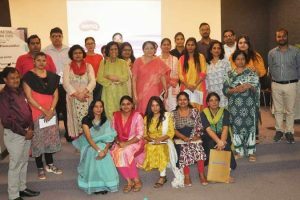 More than 40 entries were received from various Universities and Institutes including Islamic University of Science and Technology, Kashmir; Amity University Noida;MCU, Noida; IMS, Noida; Sharda University; Indian Institute of Mass Communication, Delhi; and YMCA Institute New Delhi to name a few. The jury who judged the entries included MrAditya Seth, a well-known documentary and film maker and academician who is also a producer/writer/editor. Dr MihirRanjanPatra, Film maker, writer and teacher presently Associate Professor, Dept of CMT, Guru Jamhewwar University of Science and Technology, Hisar and MrRakesh Yogi, a journalist with vast experience in television programmes, production, anchoring, reporting, scripting, on air management were also the part of the jury. 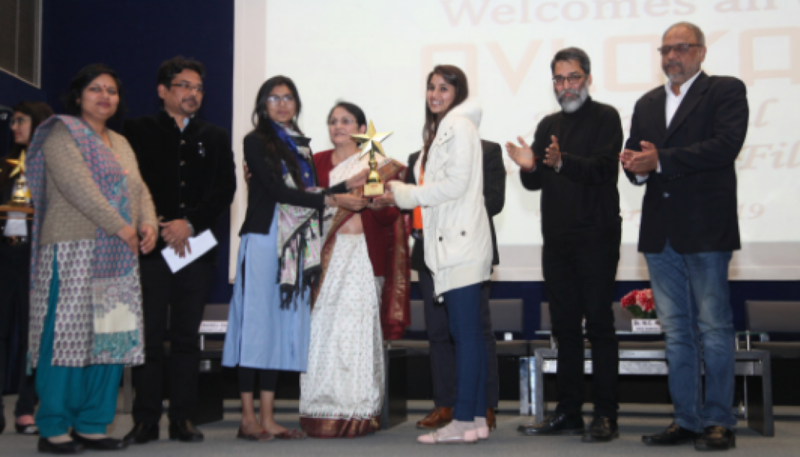 The First Prize and 15,000 INR cash prize went to ‘We the People’ by IIMC, New Delhi, the second prize along with 10,000 INR cash prize went to ‘System Badlega’ by SGT Gurugram and the third prize along with 8000 INR cash prize went to ‘Unlimited Desires’ by YMCA respectively. The consolation prizes went to Deserted (IMS Noida), Jamadar (JIMS, VK), Be the Change (SGT), remains (MRIIRS) and Police (MRIIRS). The jury appreciated the quality of the entries and spoke highly about the creativity and sincerity with which students had put forward their thoughts in the documentaries and short films.